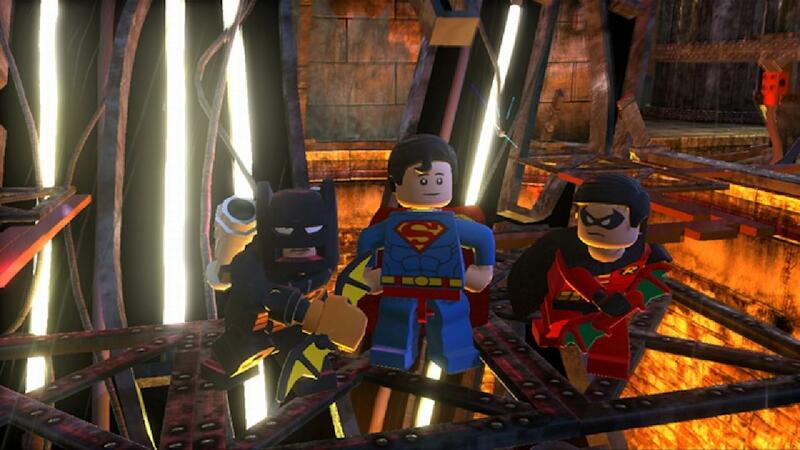 There will be voice-acting in the Lego Batman 2: DC Super-Heroes. That will sound strange if you've ever enjoyed the silly warbling that passes for talking in the man hit Lego video games. Stranger still is the possibility that Superman might be the coolest part of Traveller's Tales ambitious, biggest-ever Lego game. 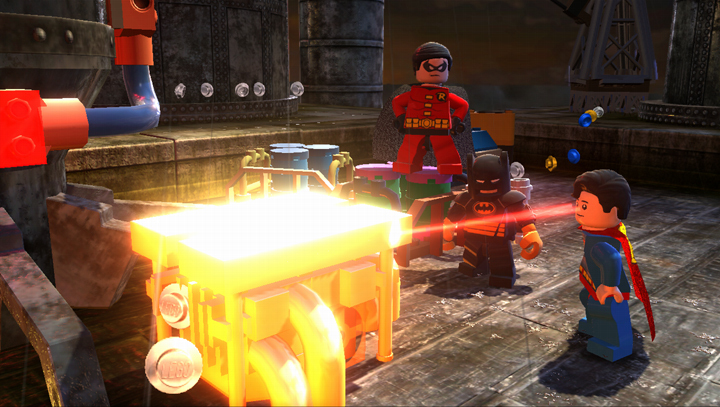 The game starts as a Batman and Robin adventure, just as 2008's Lego Batman did. This one doesn't have a separate villain campaign, but it does have Superman and some other DC heroes. Last week in San Francisco, Traveler's Tales lead game maker, Jonathan Smith showcased Batman, Robin and their new pal, the Man of Steel. Batman and Robin start the game in a level set in a theatre, smacking their way through villains such as Harley Quinn and Two-Face (but not Killer Croc... they made that guy a chicken and just let him eat it). You won't switch heroes a lot in this game. Instead, you switch suits, changing Batman to his Sensor Suit when he needs to become translucent and stealthy, or switching Robin to Acrobat Robin so he can plant poles in the walls and swing off them to reach high spots. Robin has a suit that lets him breathe underwater; Batman's got one that lets him walk through electricity and drain power from one object in order to inject it into another. And there's more. But none of these jokers is Superman. Superman's ability to fly anywhere could be a game-breaker, except that Superman's powers won't let him get through traps and puzzles that fill the streets and rooftops of Gotham. As Superman, you'll be able to spot those puzzles, which usually contain a Lego brick as their prize. But then you'll have to take control of Batman or Robin and use their suits to go through a sequence of puzzles... acrobat Robin to scale a building, electric Batman to power a winch and raise a zip line perhaps, or Power Suit Batman to fire a missile. The game looked promising if a bit bleak. Its Gotham may be vast, but it was drizzly and dreary. Smith thinks the game's weather system and continued development may address that, though he admits that Gotham shouldn't seem like too cheery a place. And what of Green Lantern, Wonder Woman and the other heroes of this game? We'll find out about them later, just as, closer to the game's fall release, we'll finally hear more chatter about how all these characters... talk.